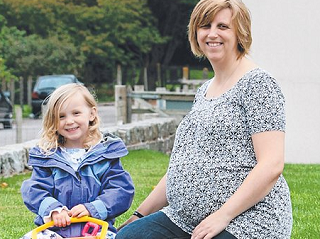 Susan Simpson coped with losing her baby Eilidh Beth at 32 weeks by writing a series of moving letters. When her daughter Eilidh Beth was stillborn at 32 weeks two years ago, Susan Simpson, 43, struggled to cope with her grief. But Susan, who lives with husband Andrew and daughters Charis, 7, and Niamh, 3, found solace writing to the little girl she lost. These impossibly moving letters show how she tried to come to terms with her loss.